This March, something wicked this way comes, when audiences around North America get to share a Paranormal Evening with Alice Cooper. On March 1 in Windsor, Ontario, Cooper and his band will begin another round of tour dates, bringing his unique style of stage theatrics to two Canadian cities before sweeping across the United States. 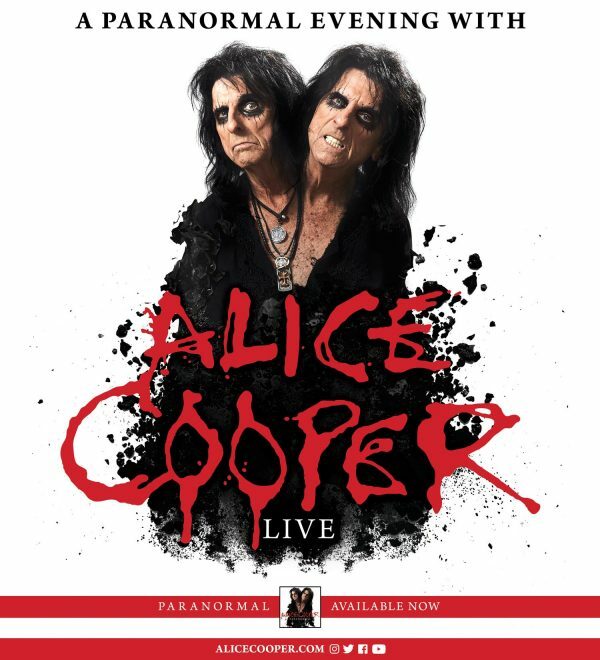 Supporting his 27th studio album, Paranormal, which includes three songs featuring the original Alice Cooper Band (one official album track, and two bonus tracks), it is safe to say that onlookers can expect a night that is truly out of the ordinary.